Motor sport champions from across the country head to Silverstone on 3-4 November for the Silverstone MotorSport UK show, a Who’s Who of exhibitors from the world of national motorsport, exciting ‘live’ elements and the inaugural Spirit of Motorsport Awards. Silverstone MotorSport UK will feature a live stage presented by theCheckeredFlag.co.uk and Motors TV headed up by 2012 champions including Michael Meadows (Porsche Carrera Cup GB),Jack Goff (Clio Cup), James Walker (VW Racing Cup), Charlie Robertson (Ginetta Jr), Henry Gilbert (Mini Challenge) and British GT frontrunner Zoe Wenham, who finished second in the GT4 class. They will be joined by BTCC racer and Team-HARD boss Tony Gilham, Ginetta GT Supercup frontrunner Tom Ingram, upcoming Clio Cup star Josh Files, 2009 Clio Cup champion and GT racer Phil Glew, Aaron Scott who has been busy in both British GT and Britcar. There is also an international flavour as European Formula 3 star Emil Bernstoff joins the line up with Oliver Webb who was been racing in the American Indycar feeder series in 2012 and Freddy Nordstrom who has been racing the in the NASCAR endorsed Euro Racecar series showing some of the talent that has come up through the ranks of UK motor sport. Rising stars Max Coates (Ginetta GT Supercup), Ollie Chadwick(Ginetta Jr), Jade Edwards (Ma5da MX5 Cup) and Laura Tillet(Formula BARC) also feature on the stellar line up. 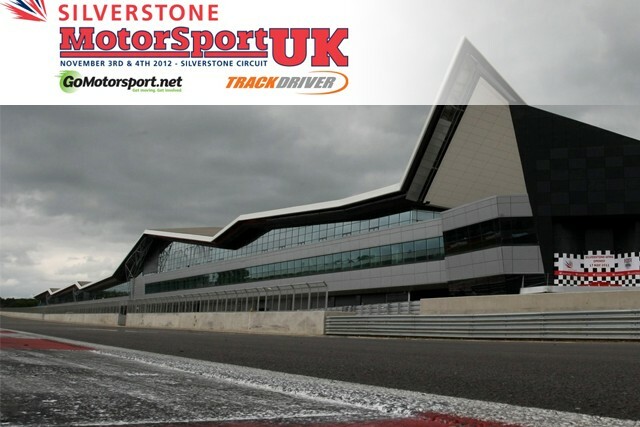 Silverstone MotorSport UK will also play host to more than 100 companies from the world of motorsport. Exhibitors include some of the UK’s largest motor sport championships and key suppliers, and the event will see the announcement of the first Spirit of Motorsport Awards winners, who will share a £10,000 prize fund, courtesy of high performance oil and lubricant manufacturer RAVENOL. All Motor Racing Club members benefit from a 33% reduction on the admission charge (just £10 instead of the standard on-the-door ticket price of £15) on production of their MSA Licence or club membership. Parking for all show visitors is FREE.